Yay it’s Friday! That means the kids start their Thanksgiving break today! It also means the countdown is on for one of my favorite days of the year BLACK FRIDAY! I am so ready to have a break from basketball games, practices and of course homework! I plan on trying to catch up on my own work this weekend so I can actually enjoy some time off next week. I found an online bingo site I really want to try when I get some “me time”. I used to love playing online games on those nights I couldn’t sleep. Now it seems like I never have time for anything and I am working during that time. I used to spend way too much time playing games so I had to stop playing completely the last few months. Truth is I would never get anything done! Online games like bingo is so addicting. I have been trying to plan our Thanksgiving and Black Friday plans. But to be honest I am not really impressed with the Black Friday ads! However, that is not enough to stop our tradition to “shop till we drop”. I know I am going to still hit up walmart Thanksgiving night to get my hands on all the games they have on sale, which is really the only thing on the Dre’s wish list. Other than that we are just going out to be out. I usually get all our Holiday shopping done on Black Friday but this year I am not so sure. I would like to wait and see if I can get better deals online during cyber Monday. I am shocked Jada’s list isn’t long this year. But it’s hard to come up with a list when you already have EVERYTHING! The funny thing is she is mostly asking for clothes and shoes. (Like she don’t have enough already). I have never seen a 7 year old that is so into fashion like she is! We joke about how much we will have to spend on clothes when she gets older! I always wished for a girly girl and I got it plus some! So now I want to hear from you!! What are your plans for this week? 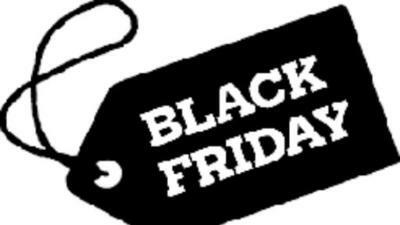 Any Black Friday sales that has got you going out?